Social media has become an increasingly important part of any organisation’s marketing mix and customer relationship management. The perception of social media marketing has shifted quickly—no longer viewed as a trendy or passing fad, having a flexible and well-managed presence in each of the major platforms – Facebook, Twitter, and LinkedIn amongst others, has become a must for any business seeking to secure a place in both the traditional and digital marketplace. What could once be accomplished by a traditional website now needs to be supplemented by a robust and responsive utilisation of the tools social media offers. Your competitors are using social media. Some better than others! Social sentiment influences buying behaviour and customer retention. FACT! Having a social media presence is not enough. You need to be proactive and be listening. Finding your influencers internally and externally can save and make you money! At Oak Consult we recognise that Social Media Management, even for companies with large marketing departments, isn’t necessarily being managed effectively and driving the desired results. We’ve also found that in smaller businesses they simply do not have the time or the skilled resources to get started. 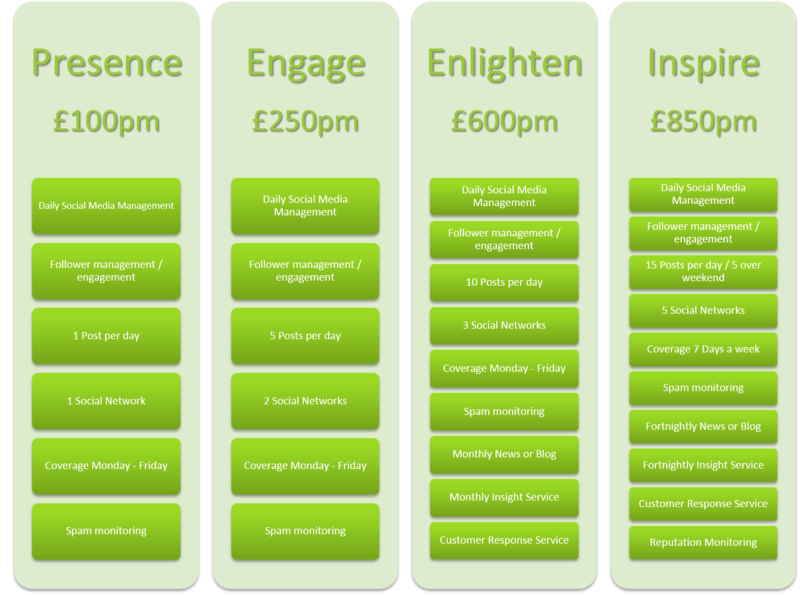 That’s why we offer a range of Social Media Management packages and training to suit all budgets and sizes of business. We can manage all of your Social Media on your behalf, working with you to drive online engagement and brand reputation or if you would like your own people to deliver social media engagement, Oak Consult have a range of Boot Camp Training Courses that can help! We really can make a difference to your business! Give us a call on 0800 999 4 625 for a free informal review of your needs or click here to get in touch!